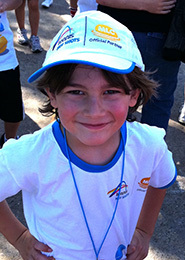 CTS are affiliated to deliver Tennis Australia’s Hot Shots Program and are an endorsed provider of ANZ Tennis Hot Shots. For ages 3 and up of all abilities – lesson lengths are 45 minutes with the focus on teaching children how to serve, rally and score. 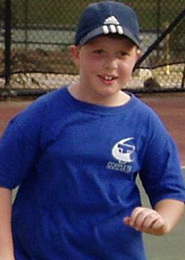 Hot Shot’s Team Lessons are the perfect way for a new player to begin playing tennis. 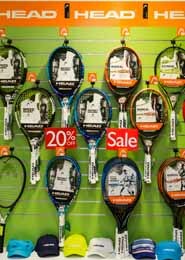 In 2014 Complete Tennis won the prestiguos Newcombe Medal for Hot Shots Excellence and in 2015 won Tennis Victoria’s award for Hot Shot’s Excellence. So families should feel secure when they are learning tennis with CTS they are learning from the best. 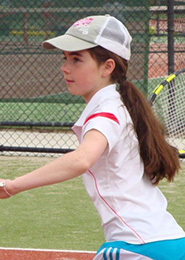 The goal of the Hot Shots Team Lessons are to get a player to a level of tennis where they can enjoy a game of singles or doubles, understanding basic tactics and techniques. It is then up to the individual, whether they would like to play socially or compete in organised competitions. 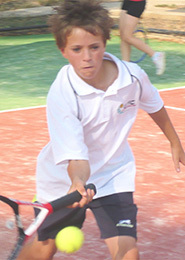 At each stage, ball compression and court size increases in line with players’ development. This gradual progression improves players’ skills and prepares them to play on a full-size court with a yellow ball. • graduate to playing on a full-size court through the “learning to play” pathway. • 5 minute warm up. • 10 minutes of technique instruction and stroke understanding. • End of Semester award including a certificate/trophy and Hot Shots prize.